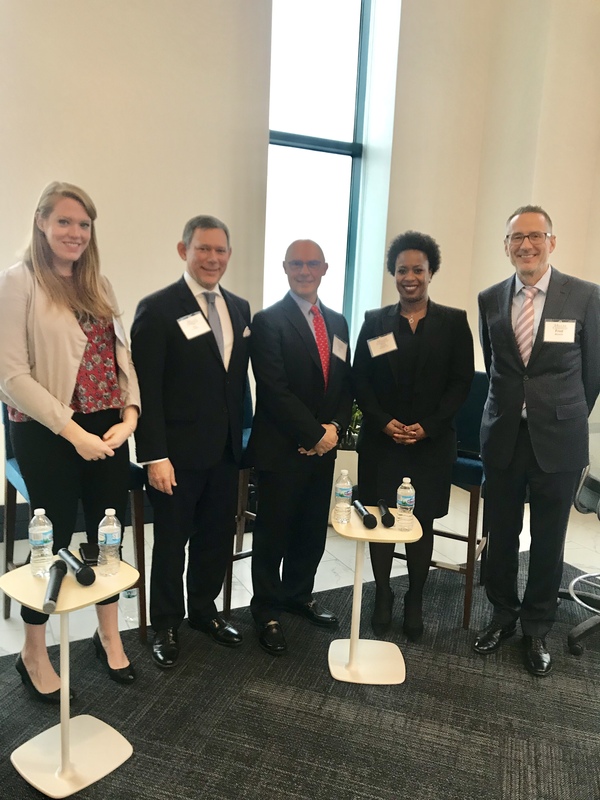 Frederick Acomb moderated a panel discussion in Detroit entitled “Enforcing Your Contracts in the Global Economy: International Arbitration and the Cross-Border Deal.” Panelists included (from left) Mary Kate Wagner, Troy L. Harris, FCIArb, Roberto Berry, and Nancy M. Thevenin. The event was held at Miller Canfield and was co-hosted by the International Chamber of Commerce Court of International Arbitration, the USCIB-United States Council for International Business, the State Bar of Michigan International Section, and Miller Canfield. Posted in Global Disputes. Bookmark the permalink.